Discovering the Region with a "Wine Tours"
Near Saint Emilion in the Entre-Deux Mers, our guest house welcomes you all year for your holidays or weekends. Our guest house offers 5 fully equipped rooms, its large garden with swimming pool, Nordic bath and terrace, allow you to spend a pleasant stay. Take advantage of our advice to visit the region, and discover and share our local cuisine based on regional products ! 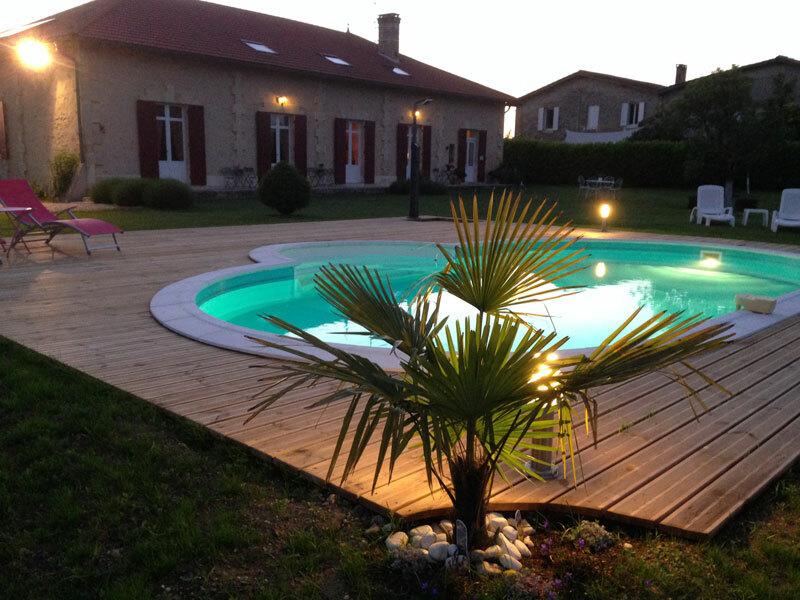 We are ideally located between Saint Emilion and Rauzan, close to the Dordogne and one hour from the beaches of the Atlantic and the Bassin d’Arcachon. All our rooms are personalized and decorated with care for the pleasure of our guests. Their surface with rooms of shower and toilet separated is between 23m2 and 26m2. In summer, it is possible to have breakfast on the terrace. As a measure of hygiene and safety all our rooms are “non-smoking”. “Sports” Stays : many sports activities are accessible from our guest house! Discover the Domaine de Blaignac in pictures ! Home friendly cozy room in a quiet setting among the vineyards. The pool is available to enjoy a little cool. We had a great time before having a good breakfast. Thank you to the hostess. We spent an unforgettable stay between a beautiful room with a good mattress, excellent evening meals and well-stocked breakfasts. Nathalie and Annie are 2 people who love their job and travelers who stop at home. To all those who pass to Ruch, stop at Domaine de Blaignac, you will not regret it.